1) There will never be a economic recovery until home prices are back close to peak price. economy is stuck until home price are back to near peak). 2) Foreclosure are the best way to ensure that there will be yet more foreclosures. 3) This was all cause by the income decoupling caused by “Owners equivalent rent”. Huh? I would like to think you are being facetious, but I fear you are serious. I don’t even know how to respond to points #2 and #3, but point #1 implies that the entire economy is simply an offshoot of the home refi market. I don’t think so. There will never be a economic recovery until home prices are back close to peak price. People cannot upgrade, downgrade or relocate, until then (in essence the economy is stuck until home price are back to near peak). There will certainly be a recovery, once home prices fall to a sensible multiple of incomes, which will free up consumer spending for things other than mortgage payments, and direct investment to productive ends, in lieu of a real estate market based on ever-greater fools with ever more leverage. Foreclosure are the best way to ensure that there will be yet more foreclosures. In the medium term this is correct. It is also a good thing, because people who cannot afford their homes should lose them. In the long term, there is a limit to the number of foreclosures: responsible borrowers, together with those who own outright and those who bought property at rental parity, will not suffer foreclosure. This was all cause by the income decoupling caused by “Owners equivalent rent”. Rents have never been high enough to justify the purchase prices we have seen in most areas. The prices were based on successive waves of buyers with unlimited access to credit. Perhaps I misunderstand your point #3. I think this point about “Owner’s Equivalent Rent” (OER) is that the Consumer Price Index (CPI) uses OER instead of home prices (or something else). By doing this, the CPI is misleading and that has an effect on things like Social Security payments. But I don’t really understand any of the points, honestly. Just making a stab at trying to rationalize point #3. The point I think JiJi is trying to make is that the OER understated inflation, and when the housing bubble inflated, rather than getting a price signal that would have caused interest rates to go up and prevent the housing bubble from inflating, the inflation signal was ignored and the housing bubble was unabated. During the 1970s, change in house prices was measured as part of inflation, and when house prices bubbled then, it was accurately identified, and interest rates were raised properly to combat this inflation. When the OER was used instead of actual changes in house price during the last bubble, it was allowed to over inflate. Why do you and so many other people still believe that the only way to drive our economy is through the same means that created this debacle, which are debt creation and asset inflation? Our economy is in the tank because we have lived far beyond our means for decades, and could only pay our debt by creating more debt, until we finally hit the wall- more debt than anybody can ever hope to repay in our lifetimes. We do not need houses back a peak prices affordable only by means of trickbag loans with DTI rations of 5:1. The only way we will recover economically is to stop throwing what little wealth we have left at obsolete, unsustainable industries, such as housing, sprawl building, and the pathetic domestic auto industry, and instead invest in the industries and resources that will maintain our standard of living and give us a productive economy in the future… things like more power generation (at least 4X what we currently have), more advanced technologies for electricity generation, rapid railroads, and new technologies that help us become more efficient and that countries like China and India are pursuing full bore, just as they are locking up contracts for future supplies of essential and depleting resources, while we keep shoveling our collective wealth at the dead housing industry. Housing never was supposed to be this country’s principal economic driver. Many of you posting here are much too young to remember when it was manufacturing that drove the economy in this country, and we were the world’s largest CREDITOR nation. Hard to believe, I know. Financialization, debt accumulation, and asset inflation are the roads to mass poverty. We’ve gone way too far down that road, and need to reverse direction no matter how much pain that means in the near term. I remember that…. wish more people did. Not saying that the bubble was good, or that prices going back to peak will be A) easy B) fun, it’s just that the economy is stuck and will not get unstuck until then. An yea check the housing bubble in the 80’s and the bank bail out in the 90’s and yes it was the same cause, and will be in the future as well it seems. I think you are right partially. And this is what Mr. Bernanke and the other policy makers are trying to engineer: Inflation which will float everything including housing prices. Whether that’s a good thing depends on whether you already own a house, if you have a job, savings…etc. Historically, inflation is a bad thing and it’s hard to control it without much pain once it leaves the station. The current pain is mainly do to housing run-away inflation. hmm in the 70’s if home prices when up 15% in a year, you got about a 15% raise. And you can talk about free up cash, but that won’t convince your neighbor to sell you his home for less than what he paid nor will it make him want to spend until he feels house rich again. Sorry that just the way things work. Frankly, I’m just tired of waiting. I’ve been sitting on the sidelines since 2005. I’d like to buy a home. Can we get to the bottom already? With 0% interest rates and 4.25% mortgage rate, recently a lot of my rich friends (but not that rich) start buying REO/short sale as investment property. Along with dollar devaluation and expectation of inflation, the RE prices in Irvine does not have too much rooms to move down, maybe 10% at most. Since it needs a lot of cash to able outbid other buys for foreclosed or short sell house, maybe you can wait a couple of months, you should able to get better bargain. Also 6 months later, the 30 yr mortgage rates maybe go down to 3.75%. When he is old and gray, do you think he will really care that he saved 10% on his first home? I think not. Don’t forget compound interest over thirty years on that 10%. FCB money is not patient. There’s still plenty of it swirling around Irvine. I’m not sure what your hourly rate is, but try adding up all the time you have spent over the past 2 years pondering the home buying decision. Then estimate the time you will spend going forward before your purchase. Calculate the value and then compound interest over 30 years. It’s the same type of BS calculation, but while your at it give it a try. Now pretend you had the money to buy 3 Irvine houses with cash and figure out what you should do. Do you figure you could rent three houses in Irvine with a rate of return better than that of a government bond? Now calculate the value of liquidity. I would buy 12 in Las Vegas…. Most people here only want to own one Irvine home, and it’s to live in. They have better places to put their investments than Las Vegas real estate. We’re talking about two types of buyers — people who want to get into a profitable REIT and people who are looking to buy a house to live in. Yes, from all accounts in recent months, buying up cashflow properties in LV seems like a good idea for the former, but the latter are trying to figure out if and when to pull the trigger on buying a home. I’m sitting on $110K of savings that’s taken years to accumulate, trying to decide between smallish houses in east Torrance and small condos in Brookside Village (south Redondo condos). But I’m also aware of the unemployment rate and the FUBAR California budget, and for me (at age 48), renting until I retire & moving to another state is an option. As someone who’s played by the rules for a very long time, I’m getting very confused by the number and magnitude of the rules they seem to be changing. I’m probably a canary in the coal mine for the housing recovery. People like me are going to continue to frustrate the real estate industry for quite some time, as holding onto my savings and attendant life options seems like the most rational course until I can start to see the dust settling. I’m not holding out for a nice bungalow in south Redondo — I just see no logic in any part of our economy, and the chaos still seems to be on the rise. Mofa, excellent point. A number of people including myself are in a similar position. As long as the government keeps allowing banks to run interference and continues to create programs that interfere with the market many people will wait due to the many unknowns. Will they keep driving rates down? Will they come out with another tax incentive? Will they release more inventory? If they would stop messing with it and let prices come down to where they should we would reach a bottom and be able to recover. As long as them mess with it many people will wait for them to stop. Moreover, some will give in or others will hang in there with a loan mod and drag this out longer and limit their mobility for many years to come. Anything to help the banks I guess, regardless if it is hurting everyone else in the country. When one looks at what’s being done, it’s clear who is in control. cap rate of around 5%. I can hardly call that a good investment. drop even below the current pathetic 5%. It’s nearly 2011. Life is passing you by while you rent. Good luck. 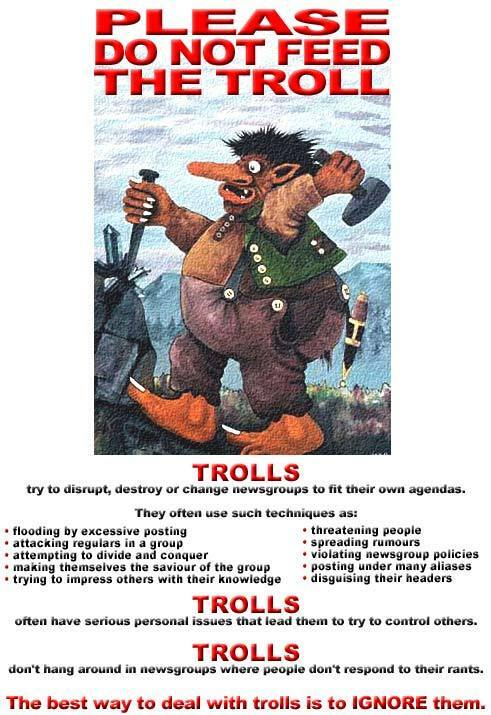 The trolls are back! They are still alive! According to your logic, only owners live life? FCB…did you buy an Irvine property? Buy now, and get priced in FOREVER. And dont forget DEBT = WEALTH! a home NOW, dump her, and rent/lease your next gf. What’s the rush, Brock? You can keep renting, and stashing any additional cash under your mattress. Of if you have some job security and you know you’re going to stay put for a long time, you can find something at or below rental parity even in the beloved city of Irvine. It’s a buyers market for those with a big down payment, stable jobs, and a plan to stay in the same house for 20+ years. Unfortunately I don’t have any of that. We are past a bottom. I dunno if it was the bottom, but prices are up significantly in almost every market from their absolute lows. 1. Are rents in your city higher than typical total monthly costs (monthly payments plus a prorated chunk of the downpayment plus property taxes plus insurance plus maintenance plus HOA fees minus any tax benefits) for the same type/size/location of house? If the answer is yes, buying now probably makes sense in almost all situations (except in cases where one is sticking around for a very short period or is unable to buy (can’t come up with miminal down payment, have horrible credit, etc.)). This is the case in many areas in “the sticks” (for example, the Inland Empire). This is not the case in “prime” areas like Irvine. 2. Are you planning on living in the house until you die, or at least living there for a decade or more? If the answer is no to both questions, keep renting. If the answers are no to the first but yes to the second, bargin shop. Take your time, find the best place, but don’t get into stupid bidding wars. Bottom ? Geotpf. I just dont think so. Maybe slowed a little. And thats with the Government putting its hands in the pot with Tax Incentives. With all the Forclosures backing up in the system now. Its great if your a squatter. But if your dreaming of a V shaped recovery you should put the Kool Aid back in the fridge. Its just not going to happen. Like I told IR the other day. Since he started this blog we are down about 30% locally. Like 50% plus in his Vegas investment market. How can anybody call a bottom right now ? You got to substantiate these predictions with some facts. Jumbo Loans getting easier. Nope. Inventory of homes going down. Nope. Foreclosure numbers getting lower. Hell no. Population growth. Nope. Its going down. We are coming into a perfect storm scenario for housing prices. All its going to take is some inflation or Interest Rate Hike. A big hit in the equity market and all hell will hit the housing market. Or whats left of it. Then when there is some serious “Blood in the Streets” then and only then put some hope in a slow recovery over a decade long. It’s good to hear from you again. I noticed you comment the other day for the first time in months. You have been missed. their pocket to let the legislation get so far along. Not sure that the bill would have had the effect you claim. If a notarization was “illegal,” it wouldn’t all of a sudden become valid under the language of the statute. It would require states to recognize only legal notarizations. Not sure what the unintended effets would be? I just read in the Irvine World News that 169 luxury homes are planned for Irvine by “The New Home Co” (who are they? )for the land at Portola Pkwy and Sand Canyon Road. Grand opening slated for early 2012. And another 5,800 new homes from the Irvine Company in Woodbury, Portola Springs, and Stonegate. I have no opinion either way. We’ve lived in Irvine since 1982, owned since 1993 (OK, I’m a boomer, but a responsible boomer). The whole sloppy paperwork and the homeowner suing, is the owner swinging for the fences.It is done with the false hope that the court will toss out the case and they will get a free home. It is the same idea as playing the lottery why not give it a go, the odds are against you but you may just hit a home run and get to live in your house for free forever. If a mortgage holder cannot produce complete paperwork, why would a court allow a foreclosure (or 10,000) to proceed? If a mortgage was splintered into 1,000 CDOs, who is the real owner with standing to foreclose? The tragedy not yet mentioned by IR is the loss of confidence in the chain of title to homes now. Who’s going to bid on a foreclosure when title companies stop offering title insurance on any property remotely tainted? I just got off the phone with a friend of mine that started working for a bank a couple of weeks ago as an asset manager. He said that the federal government is paying his salary because this bank took on a bunch of failed banks through the FDIC thus forming his department and creating his position. He further verified how bad the shadow inventory issue is and confirmed that the banks are holding properties and not realizing losses with the backing of our government that has created a no lose system for them and the banks will make a windfall for themselves at the expense of our economy as a whole. •Following near record-high levels of year- over-year sales increases, home sales are expected to decline 10 percent in 2010 compared with 2009, according to the C.A.R. forecast. C.A.R.’s economists predict home sales will increase 2 percent in 2011 compared with 2010. •Home sales are expected to end the year at 492,000 units, compared with 546,500 in 2009. C.A.R. forecasts sales will come in at 502,000 units in 2011. •The median sales price is forecast to increase 11.5 percent to $306,500 for 2010, and an additional 2 percent in 2011 to $312,500, C.A.R. announced. •According to C.A.R. Chief Economist Leslie Appleton-Young, the Association expects a net jobs increase of approximately 1.4 million jobs in California for 2011 and an improvement in unemployment figures, which many believe are key to the economic recovery. Bankers are taking huge bonuses and they successfully restricted supply so much that the median sales price went up 11.5% in 2010! What a joke, “sales decline 10% in 2010”, price up 11.5%, magic! We have huge unemployment, and I doubt peoples incomes went up 11.5 percent in 2010. Do economists, legislators and other decision makers continuing this charade not see that there’s something wrong with this picture? I hate to say it but most of us are supporting this corrupt system in a way as customers of banks. Banks win everyone else loses in 2010. Also note CAR writes, low end, $500,000 and less, “will drive up” what’s the average household income in CA again? At least they got it right about the high end, but then again they will probably continue to restrict supply there too. I’m not sure why any of this is news to you. This was easy to see and profit from 1 to 2 years ago. Back when Irvine homes were selling for $320 per sq ft and rates were over 5.5%. Now Irivne homes are trending to $360 per sq ft and rates are 4.27%. It should also be easy to digest what you wrote above,, now that you understand and predict what will happen 1 to 2 years from now.